Properties in Ngongotaha average 4.6 out of 5 stars. Property 10: Lakeside Gem - Style, views and comfort! Property 11: Willowmere cottage - Absolute lake edge. NETFLIX / Nespresso / Unlimited High speed WIFI! Property 20: NETFLIX / Nespresso / Unlimited High speed WIFI! Property 30: Lakeside living at its best! Build sandcastles, swim or kayak your holiday away. 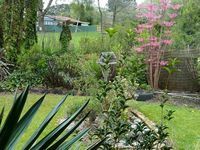 Comfortable character home near Rotorua lakefront, fast Wifi, free Netflix! 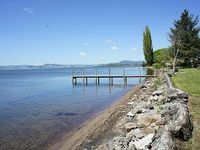 Property 32: Comfortable character home near Rotorua lakefront, fast Wifi, free Netflix! Trewillows Cottage by the Stream where the trout jump out to greet you! Property 35: Trewillows Cottage by the Stream where the trout jump out to greet you! Property 48: Central, Modern. Expansive lake views. Privacy. Very much enjoyed our stay. Small for 2 adults, 2 teenagers and a child but we did expect this. Perfect location being in walking distance from skyline. I did find the English in the written instructions and message communication a bit confusing at times.with regards to cleaning fees and the cleaning expected from us. I was unsure whether or not I was going to receive my $250 refundable damage fee back and had to wait 7 working days to find out. It would be nice to know within 48hrs if I was getting this back. Didn't mind waiting for the money if I knew it was being refunded.